It's that time again! The time when I write down - in no particular order - which books were most-enjoyed by me this year; the ones I recommend you get your nose into next year. So, there you have it, my list of recommended reading. Some of them you may have read, some you may not have heard of. However, I did enjoy reading all the books I read this year. I know they don't seem like many, but there were some complex reads this year; and there's one I'm slogging through now and I'm taking my time because I'm really enjoying it! So, until the next time I wish you a very Merry Christmas and a Happy and Prosperous New Year. Until my next post, happy reading! I was out and about today with a friend and found we were able to find two bookstores to review. After we ate at the Pancake Manor on Charlotte Street, Will and I walked a few doors down and found ourselves outside the narrow doorway to Archives Books. This bookstore is a large old building here in Brisbane and has been a part of the city CBD since the 1920's when a printer named John Miller owned it. This building - and the one behind it - is in some of the oldest areas of Brisbane; and it's all still here being used. There is a stairway between the front John Miller Himself Building and the one behind which faces a laneway, which is attached to the main building via a wooden stairway (which was once exposed but is now covered and has been fixed up in recent years). The interior of the back building has had a facelift in the last decade where the owners put in floating floors and added in extra shelving to accommodate for more books; as well as beautiful long, lush red drapes for the windows at the back. However, the books are what the people come for; as I do too. However as with all old buildings, this one has had its share of strange happenings. 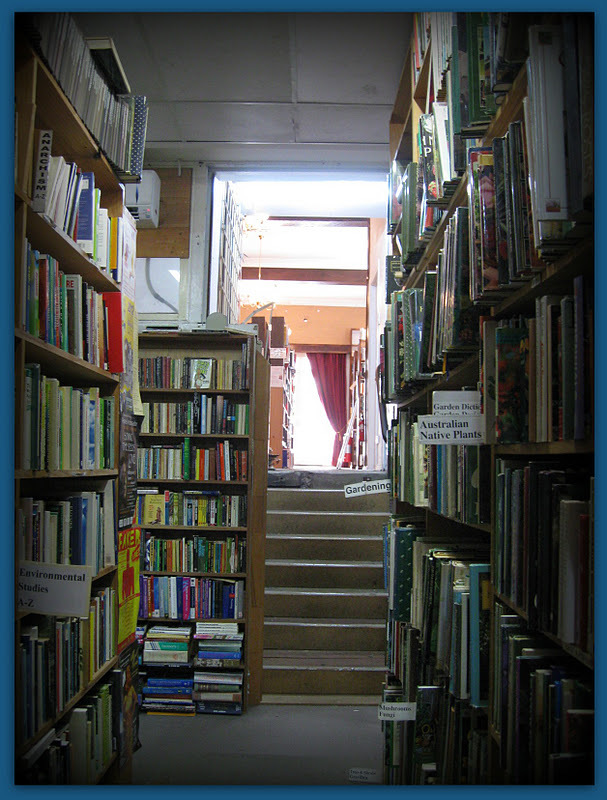 My friend, Will, and I were happy and comfortable in the first, larger building where there were many isles of books to find and possibly read, however, once we climbed those back steps, we felt something change. This back building wasn't alone... it wasn't a happy place. We both felt an energy shift and it bothered us. So, Will returned to the front desk and asked if there was anything special about the buildings - besides them being old - and the owners told him that in the alley between the buildings there had been a murder. When Will told me about this, we figured it was a little wonder there were spirits stuck in the rear building... they had nowhere to go but to stick around this place until they were let go. However, I've been coming into this store - and going into the back building of Archives - and have been getting the willies each time and not known why (thinking it was just me not feeling so good after I've eaten something); and now I know why, I'm glad it's not me and it's the building. Other than the ghosts bumping around the place bothering us mortals looking for something great to read, this place has been a great haunt of my own to go to each time I visit Brisbane City. I enjoy the huge variety of written works here and always find a great book in this place whenever I need to find it. The next place we were off to was The American Bookstore. Will wanted to find a Latin Dictionary; and seeing there wasn't any at Archives, we took a wander to Elizabeth Street to find what he needed at this great bookstore. Now, The American Bookstore isn't a big one, but is a very interesting place. This bookstore has titles from America you may not find anywhere else. They can get books in for you if you wish about great Americans - even if they're out of print, they'll find it for you second-hand so long you pay in advance - and they are a lovely store too! And so, while I was here, I ordered in a book I had been looking for since 2005: Christian Slater's Biography 'Back From the Edge' by Nigal Goodall; and they found it in the UK for $35.00 in hardcover, second-hand; and I had to pay for it before it arrived. The place is gorgeously set out; however it was a little hard to find as it had moved a few doors down the street and downstairs instead of being on the street; which makes it a very well-hidden and quiet kind of place. However, if you have a disability, there's no way of getting into it without using the stairs. Will loved this place, but the Latin Dictionary he was looking for wasn't there. So, we moved onto Dymocks on Elizabeth Street. This is a relatively new two-storey one that just opened some months back; and has been doing great business since Borders closed across the road. Will found his Dictionary here and we took a wander around this very crowded, busy store full of bargain-hunters and readers all looking for that particular book! He found another book he wanted and - while I rushed off to the toilets - he bought his reading material and met me outside Starbucks (yes, we still have them here; and no I don't drink their coffee). We walked around the Queen Street Mall for a bit before parting ways; agreeing it was a great day we had. And we had a good look at some great bookstores - two of which he hadn't been to before and was pleased he found with me. I'm just pleased I could review these bookstores for you. I totally enjoyed finding these three stores and looking them over for you today... maybe next time, I'll have a look into West End and see what I find there! Until my next post, happy reading! I meant to write yesterday; but by the time I arrived home, it was almost midnight and I was so stuffed that I bypassed the home office and didn't bother having a shower and headed off to bed. Yep, I had one of the longest days on record... however every Christmas Day is usually very long for everyone as it's so exhausting! 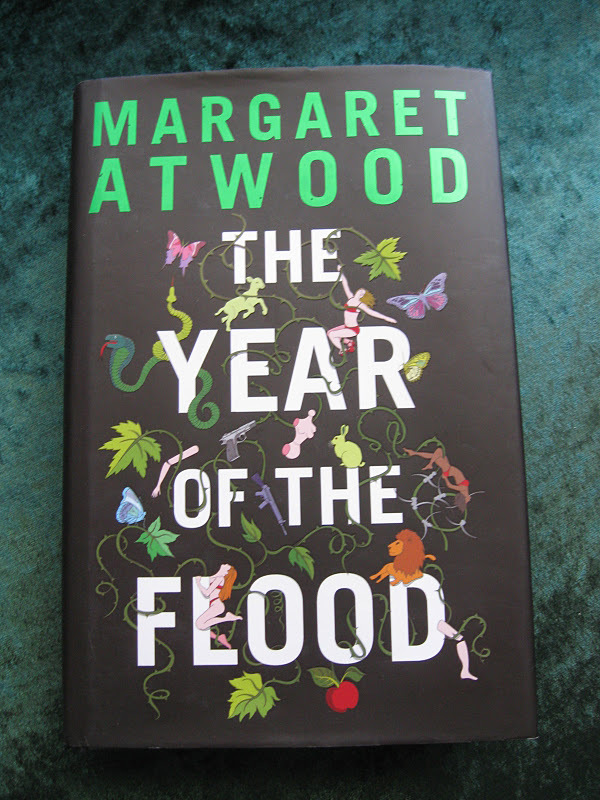 This Christmas, I received a journal, a lovely notebook and 'The Year of the Flood' by Margaret Atwood. 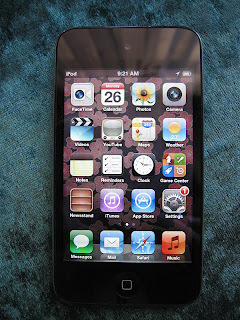 I also received an Apple iTouch from my folks! What a great thing this little thing is! I have found that I can download books onto and seeing that Bibliotastic has got free books, I might get some free ones from there and put them onto my iTouch... what a great idea to download my own book 'Graveyard Shift' onto it too! It does it to any e-reader! How good is that? So, how was your Christmas? Fun, enjoyable, beyond your wildest dreams - or was it humdrum? Leave a comment and let us all know what you received in the way of reading material. Otherwise, until my next post, happy reading! What can I say about a book that's made me laugh and snort all the way through it while it has no real plot or anything to tell? Not much. This wonderful little book on the alternate meanings of towns, cities and words in the English language is hilariously funny and set out in dictionary form; just to make it easier for us to use. There's also maps inside of where these towns/cities are so you know they're real. The best thing is that the funniest man I have read co-authored this book with another I haven't heard of (I know that sounds terrible, but really I haven't) and yet I still loved taking this book down from one of my friend's shelves whenever I visited and opening it at any page just for a giggle. If you'd like to get your hands on this book, I'm not really sure where you could buy it as I've never seen another copy - and besides I'm looking for a copy for myself to giggle over at odd times of the night when I can't sleep. Until my next post, happy reading. It's Christmas Eve, and just because it is, it doesn't mean this blog is going anywhere. I'll still be here up-dating it with the fun and links to sites that I have been for the last few weeks. So, seeing the other blogs you have been frequenting have been shutting down over the Christmas/NYE period for their bit of fun, I have mine keeping on going over this time with my Summer Fun Event. In the New Year, I will be venturing into the lovely city of Brisbane and looking into bookstores and reviewing them for your convenience, letting you know if they have online stores or a website so you can contact them. I'll tell you about what I'm reading, what I've finished what I haven't finished and what I wanted to but found I got stuck in... you know, it does happen to the best of us. So, stick with My Reading List over this Christmas Holiday and New Year period and you'll be entertained throughout. I may yet even find a few people's private bookcases and share their tastes... you know, that's how you find out what people are really about. 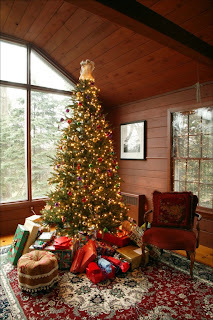 Until my next post, I wish you a very Merry Christmas and happy reading! Being a writer and a reader as well as an artist is something that's hard to work with. I love working around all three of these things in my life; as they all keep me incredibly busy. However, I'd love to know what goes on inside this artist's head when he's creating his incredible sculptures! About a month or so ago, I was offered by Bibliotastic to have my worked published in an anthology. They told me there'd be only a certain number of words and I jumped at the chance; immediately picking out six of my favourite vampire stories from my files and sent them away to two of the best writers I knew to help me with editing. After about a fortnight of e-mailing files and stories and finally sitting down to the whole book in one file of editings, I had to sit down for a week and read through all the comments and fix-ups. And finally, it's happened, my book 'Graveyard Shift' has been published under my Real Life name. I'm so pleased about this that I wanted to share this day with you all; as it has only just been put up onto the net now! Now, I'd like to shamelessly promote my first book 'Graveyard Shift' by Lynda Parker to you all. Today, I was out and about doing Christmas Shopping. Thank God, I'm one of those rare people who vows to get it all done in one day and then it's over and done with! And today, I broke my record of three hours and finished my shopping in just over an hour! How's that for being quick? Well, I had to do my shopping at QBD, so I thought to kill to birds with one stone and do a bookstore review while I was there. It was early in the day and Westfield Garden City had just opened its doors to the public - so had all the retail stores - so the place wasn't all that crowded yet. I had the money I needed to buy the Christmas pressie for the Secret Santa and I knew I could get it at QBD. This store at Garden City is well-known by me; and the staff know me quite well as I'm a regular there. There's lovely large tables out the front with great bargains on them from during the year and last year at low, low prices. From childrens' books to non-fiction to sci-fi to fantasy novels, this place has got them all. And they also sell bookmarks and pens as well; which is an added bonus seeing they have diaries and journals instore too. With every isle marked out clearly, it's hard to get lost in this rather small shop, however it's very easy to find yourself buying more books than you can possibly carry when you've only gone in there for one or two. But there is an up-side to this place. They have a Book Club where you're given a card with a barcode on it and each time you make a purchase, they swipe your card on the reader as well. When this is done, you accumulate points; and when you've made ten purchases, you acquire a book voucher! I've found this a brilliant scheme as it works well for booklovers like myself. Another great thing about QBD is that they have an online store. 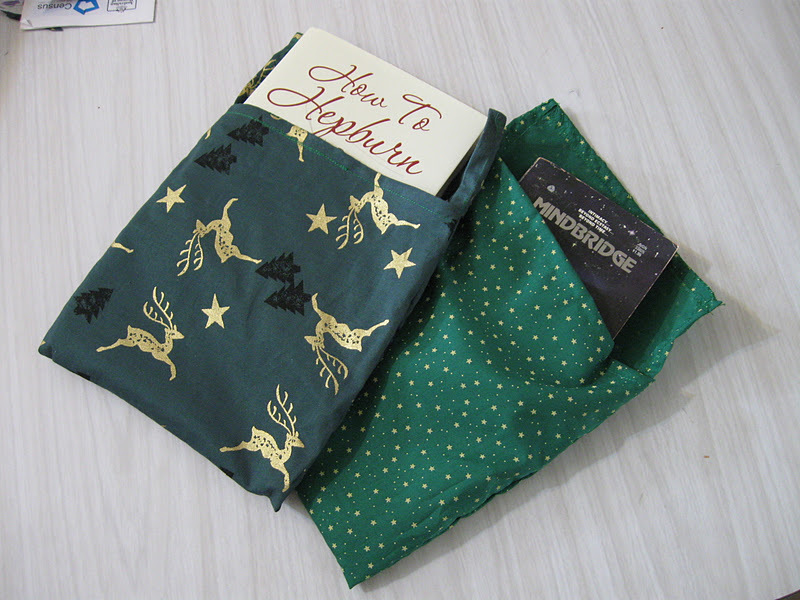 In case you can't get to their stores from your home, you can have your books delivered to you. This has been a wonderful thing for QBD as it's made them more accessible for customers not only here in Australia, but also overseas. So, if you're looking for a book - and don't like to pay full price - try out QBD. It's a great store; and their motto is: Never Pay Full Price. Believe me, I never have. Until my next post, happy reading! At this time of the year, I begin to sort out what I hope to read next year. It's a tedious thing to do, but if I jump on it early enough, I'll be set for when the New Year does come around and I can settle back into some great books! So, here's my list for the next twelve months of great reading! 'The Dreaming Void' by Peter F Hamilton is the first book of a trilogy. 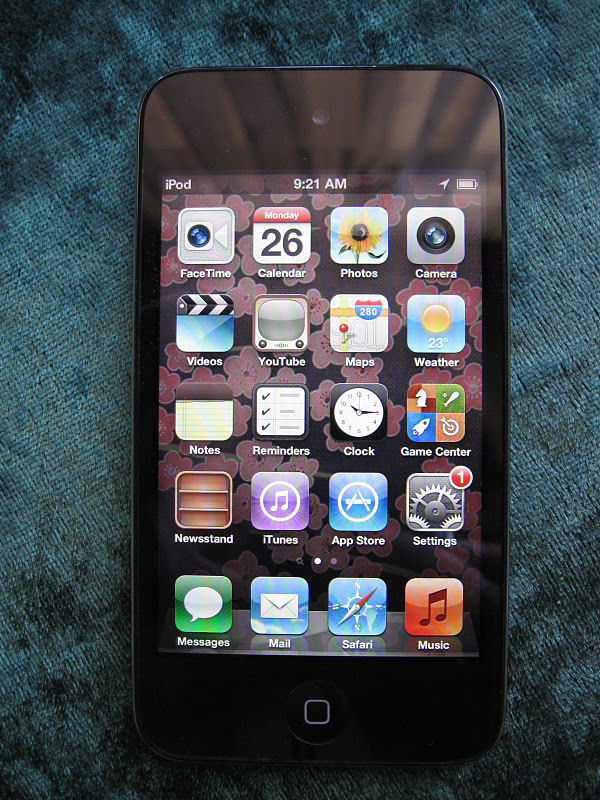 I have the other two; but have lent them to my friend who has - in turn - lent me this one. We both wanted to read the trilogy. However, seeing he wanted to read the other two, and I wanted to read the first, it made perfect sense to swap when he finished this first one. However, I'll wait until he finishes them all before starting this one. 'And Another Thing' by Eoin Colfer. This is the follow-on from 'Hitchhiker's Guide to the Galaxy'. 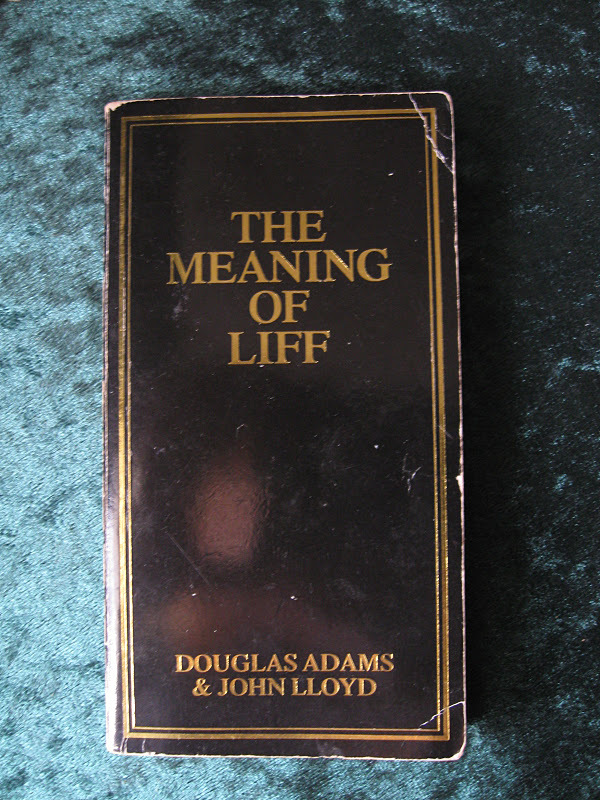 I do love Douglas Adams and just happen to find this one around The Book Warehouse! Can't wait to read it. 'The Islands' by Di Morrissey. Now, I have heard great things about this book; and so I'll be getting my nose into this one next year. 'Last Night in Twisted River' by John Irving. I bought this one last year as a birthday gift to myself; and didn't read it... however next year is the year I'll get my nose between its pages. 'The Chronicles of Narnia' by C.S Lewis. No life is ever complete without reading the complete works of this man; especially 'The Magician's Nephew'... I can't wait! 'Excalibur' by Andy McDermott. This is a book I saw a Gallery Copy of on a bus; and so I wrote it down as the guy reading it said it was an amazing book. So, that's another book I'll be reading too. 'A Portrait of the Artist as a Young Man' by James Joyce. 'No One Here Gets Out Alive' by Jerry Hopkins and Danny Sugarman. This is the second biography on Jim Morrison... and I can't wait to read it. 'Dinner at the Homesick Restaurant' by Anne Tyler. 'In the Company of Cheerful Ladies' by Alexander McCall Smith. I love the television series of this book; and so I thought to try out reading the books. 'Getting There' by Sue Williams. Well... what a list! There's some nice little books to get through and some really big thick ones as well. I've included non-fiction and fiction mixed into this upcoming year's reading. What have you hopefully got planned for next year's reading? Is it as different and interesting as my pile or have you got something totally different in mind? Let us all know. Until my next post, happy reading! Yesterday, I was at a pool party and I came across new people I hadn't met before. It's always great to meet new people as you never know when you're going to run into a new writer or poet at these functions. And this is exactly what happened! 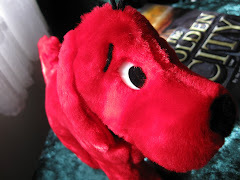 I was introduced to Anna Dean and we chatted about writing and what kinds we do. I found out she write poetry and she told me about her blog; which I just found this afternoon (as I've only been home an hour or so) and it's lovely. So, here's the link. 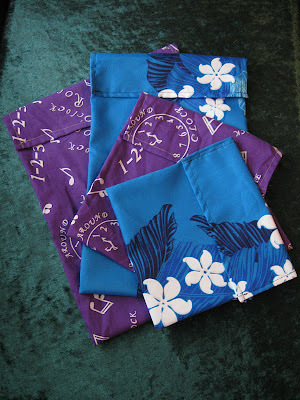 And I'll be adding her to the blog roll as well for you all to keep up-to-date with her work as she updates her blog. Over my history with the written word, I've had books that have changed my mind, my views and totally did my head in. Then, there's books that have completely changed my life around and made me think long after I've closed the cover and put it on the 'Read' shelf of my bookcase. Now, I got this idea from Misfit Salon Blog where she shared a book that changed her life; and I'd like to share the book/s that have changed mine. Let's start with non-fiction and work into the fictional world. There's two books that I must say have changed my life completely. The first being 'A Perfect Mess' by Eric Abrahamson and David H. Freedman is a great book about mess and how we can't live without it; however being too messy isn't good for us. But being too clean isn't either... there is a 'just right' amount of mess we have to live with as the mind is a messy place. And this book covers a lot of ground when it comes to messiness; well worth a read; and yes, it did change my life. It's also the reason why I never make my bed anymore. The next book is 'The Brain That Changes Itself' by Norman Doidge, MD. Now, for those who have had brain damage in any way - whether you were born with it or acquired it during your life - all is not lost. You can rewire your brain to work the way you want it to; it's called neuroplasticity and it's something you can teach your brain to do. I've taught mine as I've got problems with my brain, however over my life, I have retrained and rewired it to do things it shouldn't be able to do (like read music, keep to the beat of a song and other algorithms to do with maths; as that part of my brain isn't functioning). This book is brilliantly written and well set out by this wonderful doctor. I even e-mailed him and told him my story and he wrote me right back - personally - and told me how impressed he was at how far I had come in my life. Norman Doidge is about to publish a book on Epilepsy and Neurofeedback. This is where he's worked on getting other non-functioning parts of the brain to work; fantastic research. Okay, here are the fictional books that changed my life. 'Lord of the Rings' by JRR Tolkien. 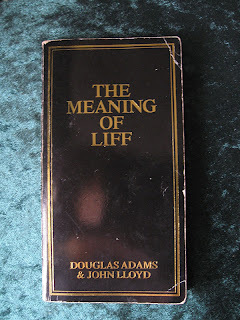 This book - for obvious reasons opened my mind to the possibilities of where my fiction could take me. The immense imagination of this man was amazing. 'The Stand' by Stephen King. What can I say about Sai King except the he is as much the King of literature as Tolkien is of sci-fi fantasy. 'The Hitchhiker's Guide to the Galaxy: The Trilogy In Four Parts' by Douglas Adams. Another great author; however his life was cut so unfairly short. 'House on the Hill' by Estelle Pinney. Now, Estelle is a new author I've added to my list; mainly because it's been over five years since I read this book; and yet I can still remember the whole plot, the love and laughter and heartbreak of it all... and those pineapple sandwiches too. 'Other Colours' by Orhan Pamuk. This is another new author I've added to my list here as he's a new one I've begun reading recently. I picked up this book in The Book Warehouse on a whim; and found I couldn't stop reading his essays and stories in it. The visual pictures were so clear and beautiful, I felt as though I was right there next to him the whole time. Now, that's how it should be with an author. So, there you have it. Books that have changed my life. This list never used to be this long; and as time has gone by, I've noticed it's been getting longer. So, I'll keep you up-to-date with what other books have change my life over the next few years; you never know who I might read to add to the list. Who has changed you life? Let us know; you never know we might agree on the same things about an author, or find something totally different about them. Until my next post, happy reading. 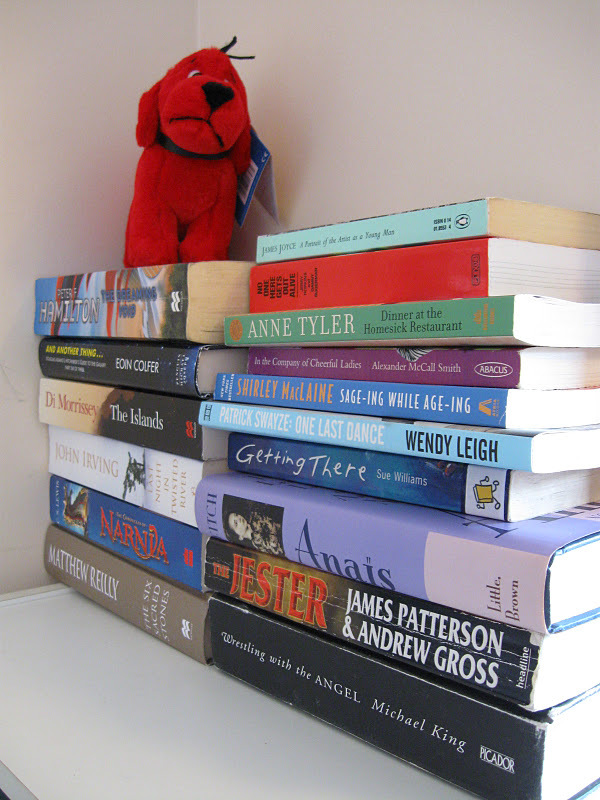 As with any avid reader, I have a few favourite authors, I can't stick to just one. However, there has been one that I collect quite publicly and that is JRR Tolkien. He has been one of the biggest influences of my life and writing. However, owning his work and reading it is two totally different things. I love to read his work occasionally as it's hard to get into; and I do love a challenge. 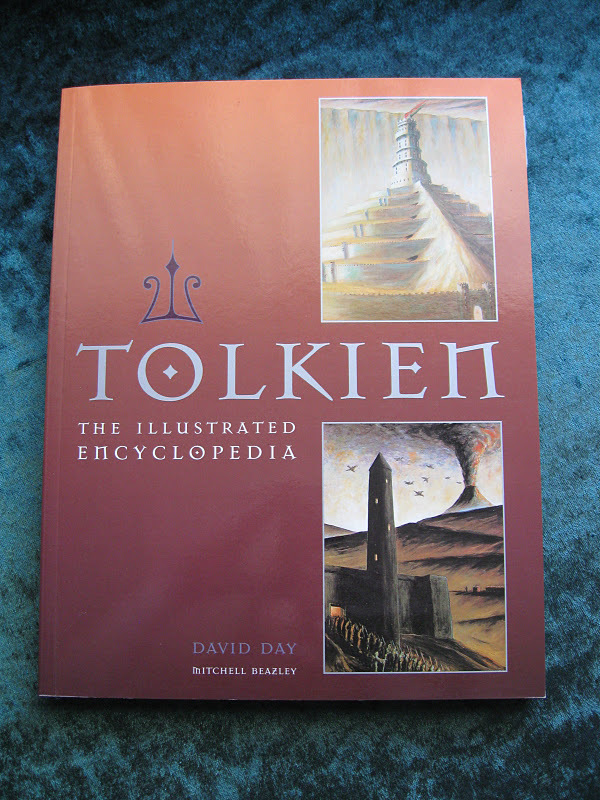 And 'Lord of the Rings' is a brilliant set of books to get your nose into - however it does start with 'The Hobbit'. The series doesn't end there, but continues on with 'The Lord of the Rings' and then 'The Silmarillians' - which I haven't read as yet. There are books that I have hunted down that are no longer in print, such as 'The Father Christmas Letters'. 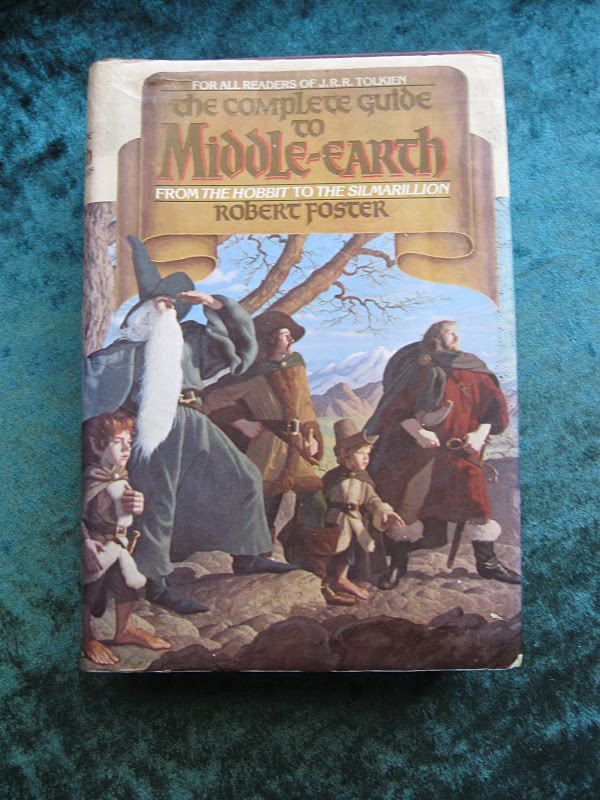 Mum found a copy of the original hardcover edition for me and I'm thrilled to own it - as well as the reprint in miniature (which I haven't taken the plastic off of). 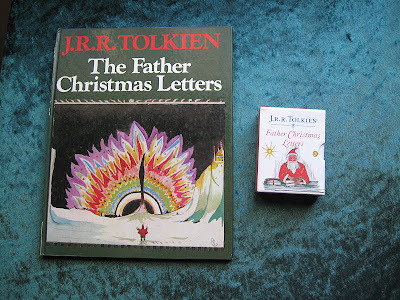 This book is brilliantly illustrated by Tolkien himself and it's about the letters between his children and Father Christmas; and how he created a whole world for his own children to fall in love with each year. I love the book's colour and imagination; yet I have never read the letters themselves as I feel I don't need to. 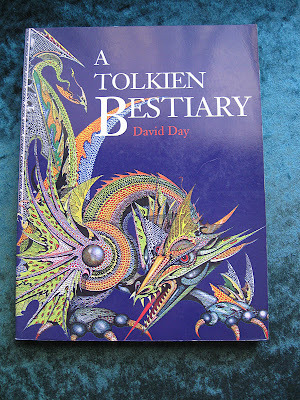 There are other books of Tolkien's that really have struck a nerve with me and why I keep them; like his Bestiaries. David Day has put out a couple of these books on Tolkien's creatures and they are fantastic. I bought the purple one on a whim when I was standing in the bookstore and flipped through the pages and happened upon Smuag (the dragon from 'The Hobbit'). He was so beautifully drawn that I couldn't put the book down; and so I bought it. I have since bought the second book and another book called 'The Ring' which is based on the movies. 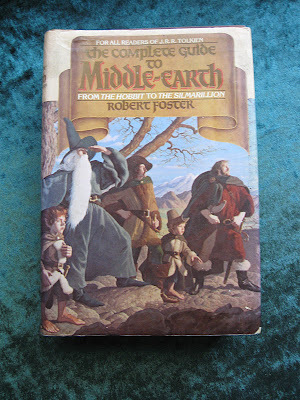 One of the older books I have - which I just happened upon down the coast one year - is 'The Complete Guide to Middle Earth: From The Hobbit to The Simarillion' by David Foster. I bought it, put it onto my bookshelf and didn't read it. It was the age of the book that attracted me; and the fact that I haven't seen another like it around any other bookstore. I don't know how much it's worth as I'm not interested in its value. But I do like it for the information that is held within its pages. So, which authors and their books do you enjoy collecting the most - and why? Did it begin with just one book and your curiosity was piqued? Or have you always been curious about this particular author? Until my next post, Happy Reading! My first love of books came from the Springwood Library; situated up the road from my house when I was just 4 years of age. However, as I grew older, the library at school and the libraries of my Grandparents were places I enjoyed. So, here are some links to some the world's libraries and librarians. More Than One Book At A Time? As with most people, I'm reading more than one book at any one time. It can get very confusing. So, when I stumble upon this article through Bookcrossing I thought it would be a brilliant one to put here for Saturday reading. In my area, there's a great book store. It's not big and flashy like Dymocks and QBD and it's not poor and old like those Life Line charity stores (even though I have found some great and brilliant finds in those charity stores every now and again). I'm talking about The Book Warehouse. This is a place where all the books go that can't be sold by the publisher; before they are sent off to be shredded and used again for another book. I buy a lot of my books at the Springwood branch of this store simply because they are about a quarter of the price they normally are in the stores; also there are some books in these places I've never seen in the usual stores, let alone heard of. So, these Book Warehouses are very good for those people you find hard to buy for. The Springwood branch of The Book Warehouse is easily found at the Arndale Shopping Centre in Springwood, just inside the back doors closest to the Service Road. The best thing about this store is that there's steps up to it and a ramp as well; for those in wheelchairs or who have prams. Straight away, you feel very welcomed by the atmosphere here. There's easy-listening music softly playing and nobody bothering you about what you'd like to look at; it's all spread out for you on the tables. The General Popular Fiction is along the right hand wall as you walk in and from there, you walk around the store poring over the titles, authors and books; in no particular order. However, in amongst the madness of the set-up, there is order. There's sections (once you've been there a few times, you'll see it) where there's cooking, travel, non-fiction, Hollywood Stars and Artists, Biography, musicians and also books on the weird and strange, science and questionable books with titles such as 'Strange Thoughts We Have Like: Was It The Chicken Or The Egg That Came First' by two doctors you've never heard of from Europe. Yes, The Book Warehouse isn't a place you visit once and it's done. This is a place you go back to time and again; as there's always something different there each time. The stock is always being changed over and the prices are wonderfully low and the books are of good quality as well. It's well-lit, welcoming and I do recommend more than one visit; even if you're passing through and you don't have any money on you... as you will make sure you do the next time you visit 'The Book Warehouse'. Today, I thought you'd all like an exclusive interview with Estelle Pinney. Now, Estelle is an old friend of mine who I met while singing in the Southern Cross Singers. We were voice-placed in the same section, right next to each other; so it had to be fate that we were bound to become friends. I've since quit that choir for personal reasons, however, Estelle still sings in it and loves doing so; as well as writing. Estelle Pinney is a jill of all trades. 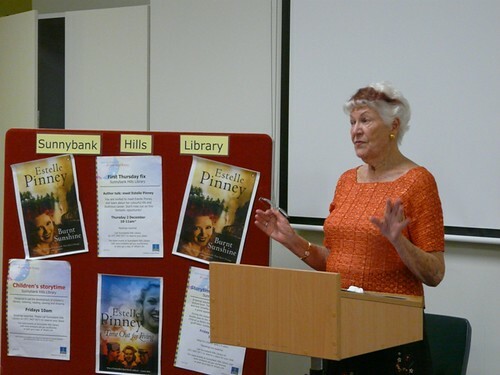 The Brisbane author has been a photographic colourist, cake shop assistant, hand-grenade manufacturer, ambulance driver, nurse, mother and wife - all before turning 21. However, not one to run from adventure, Estelle has found she drew her best writing and characters from life itself. I e-mailed her recently and asked her some questions about her books and publishing; and was delighted when she replied. Did you know from a young age you loved to write? Or was it a passion that came later on in life? English at school was always a favourite and later in life letter writing to soldiers and sailors World War 2 was a pleasurable hobby. An avid reader from seven years onwards it never occurred to me that one day I'd be a published author. How long does it normally take to publish one of your books? Too many Spears. co-authored with my late husband Peter Pinney and including research over a long period of time took up to nearly ten years with lots of non-writing in between. Net Full Of Honey(young adult fiction): about one year/ Time Out For Living: two years/ House On The Hill: eighteen months/ Burnt Sunshine: nine months. How many books have you published overall? Which one of your books is your favourite? Why? Burnt Sunshine... I enjoyed my characters/ the timeframe and locale. Maybe because I was in familiar territory which brought back memories of my own time in the Torres Straits and the Orimo River PNG. Do you include real people in your books, or are all your characters fictional? Or are they based on real people? Characters are mostly fiction. Perhaps shades of people met and lived with, linger in the mind but the only real live character I brought into the HOUSE On The Hill- was my photographer grandfather Steve Dublo. And I must admit Belle had a touch of my Mum in her. I must thank Estelle for this wonderful interview. She's a lovely person to know and I hope to read more of her books soon to review here on My Reading List. (NB: Some of this article came from another online article written by The Courier Mail from 2008). Since high school, I've written poetry to get out the bottled up feelings of being trapped as a teenager. After high school, I found myself writing books; however whenever I finished writing a book, it was poetry I found myself settling back into to relax; whether it was writing it or reading it, it was something I found helped me find the next idea for my next book. So, for all you poets out there - inspiring poets and lovers of poetic prose - I've thought to find some links to blogs and sites for you to delve into over this time of the year. Okay, it's the beginning of Summer - Winter in the Northern Hemisphere - and so, we're all settling into getting our noses into books for the Christmas/Festive Season. 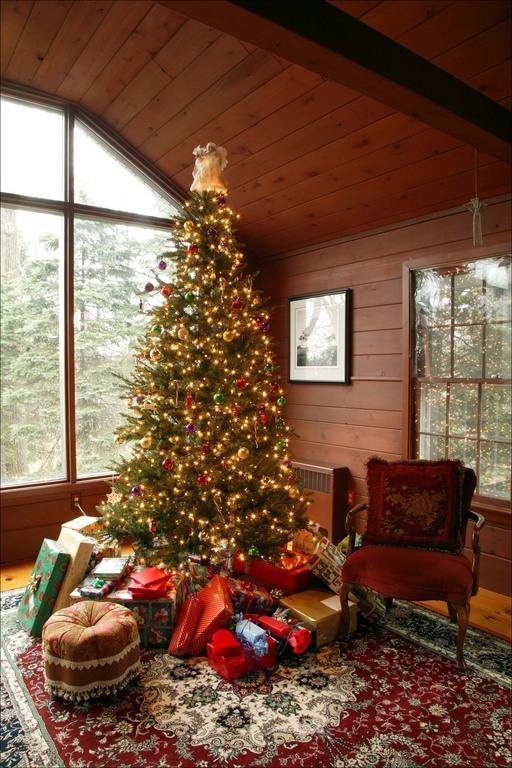 What are you big ticket items to get through for the next three months? Or don't you plan that far ahead? Me? I've got my nose into the most current publication of Good Reading Magazine and this one works over December and January; what an issue! I bought it last Wednesday and haven't been able to get my nose out of it! A great magazine full of great suggestions for Christmas pressies and fantastic reviews; well worth purchasing. Or, if you're not into collecting magazines throughout your home, why not purchase an online subscription? It's just as good but it's on your computer. I'm also reading '11-22-63' by Stephen King. Right now, I've just past page 270 and I've been reading it for almost a month. Now, it's taking me a little time because a lot has been happening socially, but I do love this book; it's not boring, it's got great narrative and it's well worth the money. Do go out and buy it, read it - but don't give it away. I think I'll be re-reading this one in the next few years (just like his older work). Now, that's all I'm reading at the moment. I have been trying to read 'The Lady of the Rivers' by Philippa Gregory, however, it's not really holding my attention right now. I will try it once more after I finish the Stephen King novel, then let you know how I'm going. otherwise I'm hoping to get his book finished before Christmas Day. I do have some books I have my eye on to read over this time of year; however, I won't give away which ones yet as I don't plan ahead what I read. Until my next post, happy reading! About two months ago, I celebrated a birthday and received a sewing machine... something I really didn't wish for. However, as the saying goes: 'When you've got lemons, make lemonade'. So, I got to work and wondered what the heck, I was going to do with a sewing machine in my life? 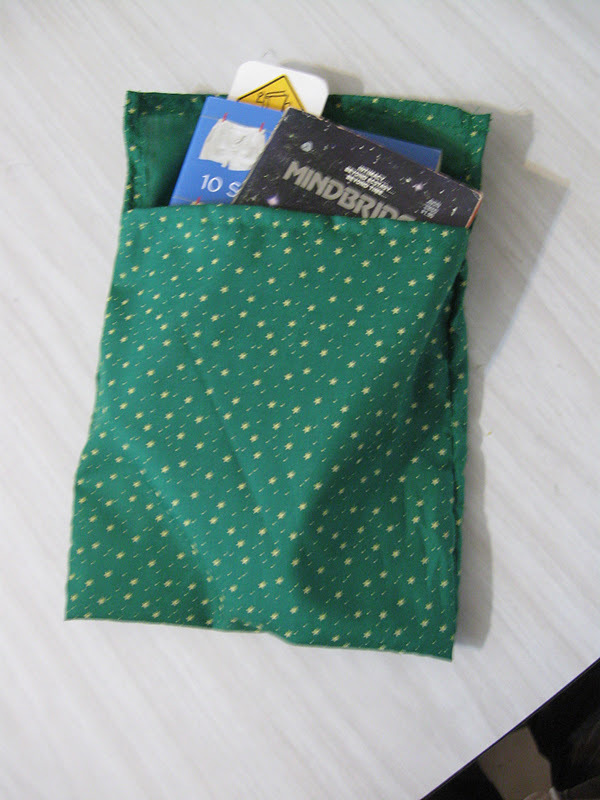 Well, what indeed but book baggies. I began working on baggies that will protect your books while you're not reading them, make them look lovely and cool, colourful and pretty and yet help keep their pages from being turned or torn on the corners or the spines being bumped. If there's something you don't see - and would like done differently to yours (like an initial or something else), let me know, however it may add to the cost a little. Welcome, welcome! It's the beginning of Summer in the Southern Hemisphere and thus far, we've had a storm grumble by and temperature drop by about six degrees... yep you heard me right! It's cold instead of hot and steamy. But that isn't going to stop us from having the Summer Fun I promised. As the saying goes here in Australia: 'Rain, Hail or Shine, the show goes on'... so will this one. And as promised, I've been busy with looking at what to do this Summer. And so, I've been spontaneously going through Google and found a few book blogs that looked great. The first book blog that caught my eye was Kate's Book Blog I clicked on it and found myself in a very plain - yet informative - blog about books, authors and a world of a lawyer who loves to read. Kate covers all genres including poetry and has a massive list of other blogs down the sidebar of blogs I've never seen before. Well worth a look into; so much so, I'll be adding her blog to my blog roll to you can all keep up to date with her blog. Another I found while perusing the huge number of bloggers who love books is I Heart Reading a lovely bright blog which I haven't heard of until tonight by Majanka Verstraete in Belgium who loves books and reading. 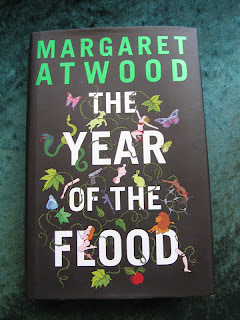 Her most recent review is of 'The Lady of the Rivers' by Philippa Gregory (a book I received for my birthday and have been attempting to get into unsuccessfully). Majanka has written a wonderfully indepth review of this book, about its characters and why this book - in particular - didn't work this time around for this author (who is usually fantastic). 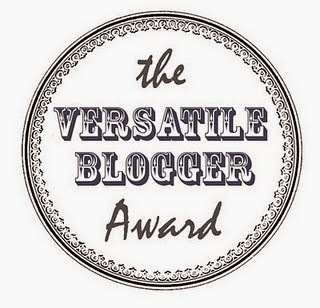 So, do check out her blog; it's well worth looking into; as there's a lot of work put into it and she has a lot of other previous reviews that look great. Now the third one I've found in a number of places - not just on Google. So, I thought to put her blog up here for you all to have a look at it. Becky's Book Reviews is a lovely-looking blog straight up. Before you look at anything in particular, you like it immediately for its colour and beauty. Right now, Becky has a few challenges going; and there's one up on the most current post, offering if we'd like to join her. She's mentioned that she read 20 books last month; now, this is a serious reader! I will be adding Becky's Book Reviews to the blog roll for all of you who are interested in her work. Well, that's all the blogs of interest I've found so far. I hope you enjoy them. I'll be looking around for others as the next three months pass by (our Summer here in Australia) for you all. Otherwise, until my next post, happy reading!